The majority of execution routes in Montenegro start with a visit to Ostrog Monastery. This is a unique architectural complex which never ceases to amaze travelers with its unusual shape and style. The building is located on a high rock; the monastery is literally built into a complex of naturally made caves. Even nowadays it's still hard to imagine how medieval masters managed to make the monastery in such a skilful way. Ostrog Monastery is divided into two levels - the high and the low ones. In order to reach the high part of the monastery, one needs to work on a winding path through the forest. As there are several important Christian artefacts in the monastery, Ostrog is always full with pilgrims. Continue your observation of the country with a visit to the Mount Lovcen. The mountain is located in the territory of a national park. This is not only a great place to enjoy beautiful nature as there are several important historical landmarks in the area. The Mausoleum of Petar II Petrović-Njegoš, the great Montenegrin philosopher and politician, is also quite an interesting place. One of buildings in Lovcen was built by his initiative. This is a church named after St. Peter of Cetinje. During the observation of religious landmarks you will see beautiful nature in its splendour - amazing green pastures, fields and forests. Lovcen is distinguished by a peaceful atmosphere of relaxation and harmony. Not far away from the border with Albania one will find a man-made island named Ada Bojana, which is famous for its wonderful beaches. 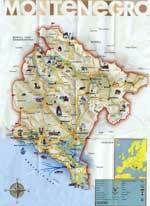 This is one of the most modern and developed regions in Montenegro, and the location of the newest tourist complexes. Visitors will find here many chains of popular restaurants and large shops. 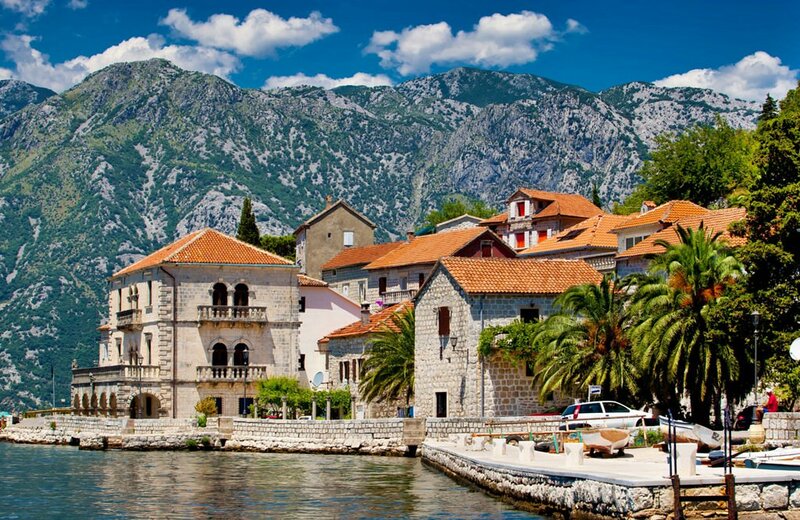 For over a decade the resort has been in the list of the most popular vacation destinations in Montenegro. The undoubted advantages of Montenegro are inexpensive beach resorts. They will impress you not only with well-equipped beaches, but also with beautiful nature. The total length of beaches is almost 73 km. Comfortable artificial beaches with concrete platforms are located in Tivat, Bar, and at the resort of Herceg-Novi. In southern regions of the country, there are enchanting sandy beaches that are very popular with tourists with children. In Montenegro, diving fans will not be bored too. They can take advantage of the services of multiple water sports centers located at large beaches. 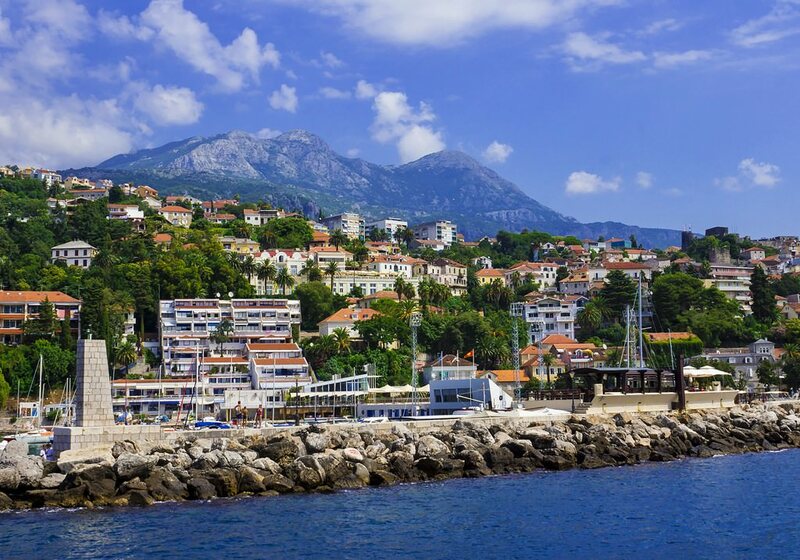 At the coast of Montenegro, there are very beautiful coral reefs that are a home for many rare dwellers of sea depths. In the period of the First and Second World War, several warships wrecked at the coast of the country. Now, they are lying at the bottom and considered as the most popular attractions with tourists. During the year, a lot of interesting themed festivals are held in Montenegro. Very interesting holidays are celebrated in summer. In the second half of July, in Plav, the annual Blueberry Festival lasting for a whole week is held. In early August, the Olive Fair is organized in Tivat. At this time of the year, there are many interesting food entertainments in the city. Connoisseurs of fish dishes should definitely visit Petrovac in late August. Here, the festival, during which traditional fish dishes are cooked and young wines are tasted, is annually held. 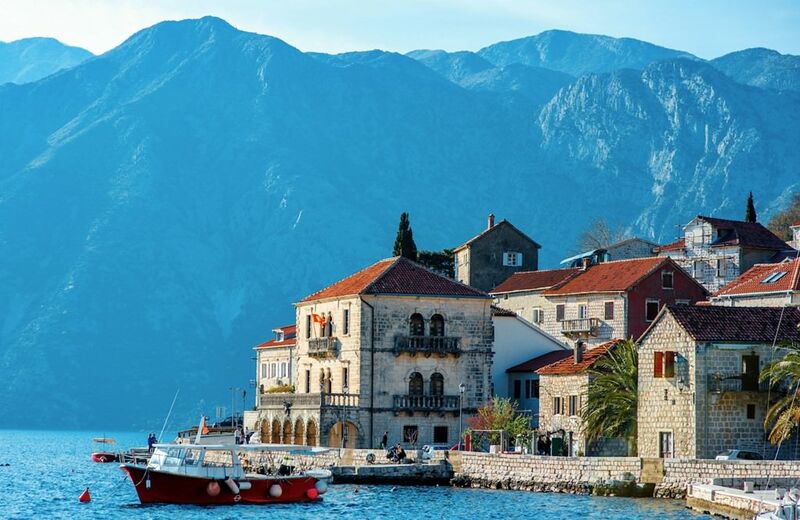 The wonderful food attraction of Montenegro is tiny village Njegusi. In late August, the annual food festival is organized here. At the festival, the best cheeses from different regions of the country, prshuta and other national delicacies are presented. In Montenegro, there are historical wineries. The most popular wine of the local production is called Vranac. The main part of your vacation is walking along the stores and markets where you can buy many interesting souvenirs. The masters of Montenegro weave beautiful baskets and pieces of furniture of vines. Gifts in the sea style are also very popular in the country. As Montenegro is notable for its religious attractions, you can buy here beautiful orthodox items. Tourists often choose hand-made icons, crosses and religious jewels. 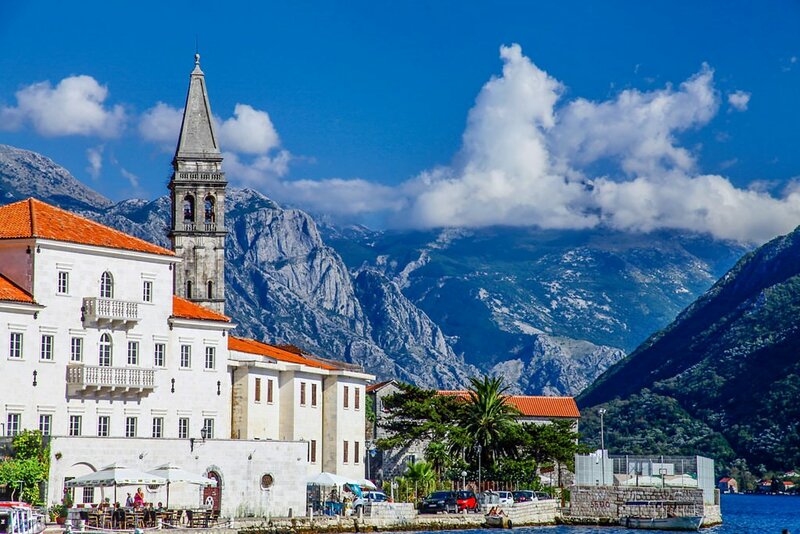 This article about iconic landmarks and sights of Montenegro is protected by the copyright law. You can re-use the content, but only under the condition of placement of an active link to www.orangesmile.com. Mratinje Dam is situated in Montenegro. It was built there in 1976. The dam is 220 meters high and 268 meters long. 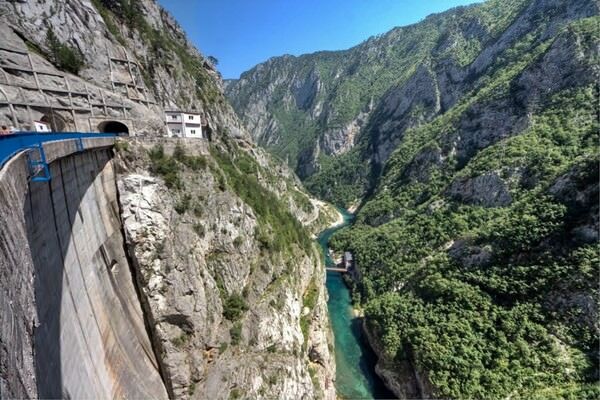 The dam is located in the canyon of Piva River. Now the dam is one of the largest in Europe. 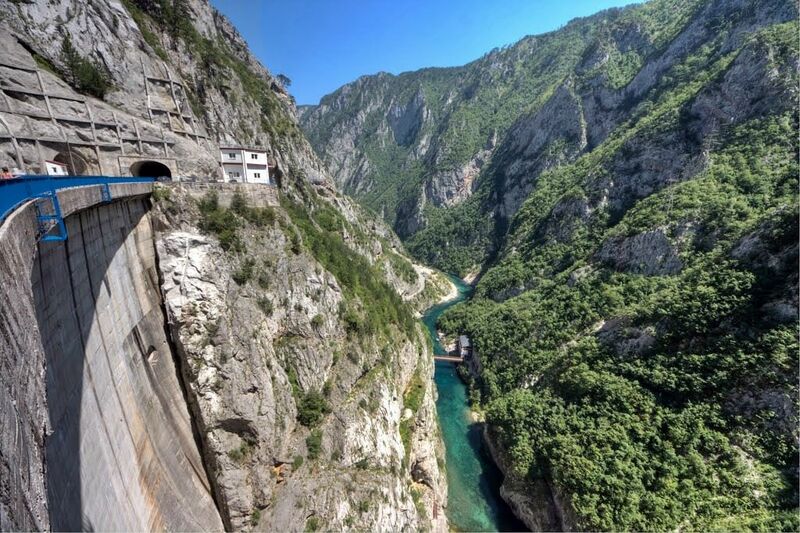 When the dam was built canyon of Piva was fully flooded. Now there you can see a wonderful lake, second-largest in the country. Before the dam there was an old monastery of the 16th century which was the main sightseeing of this area. It attracted a lot of tourists and pilgrims. However, when the dam was built, this religious monument became at risk of flooding. The Durmitor Park is the most important natural landmark of Montenegro. It’s enlisted in in the UNESCO World Heritage Site list. 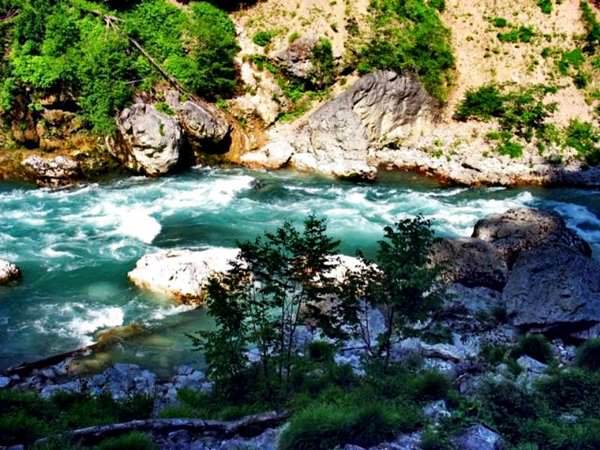 Its territory features the Tara river canyon that is striking with its beauty and majesty of the surrounding landscape. The depth of the canyon is about 1 300 meters and length is 80 km. Today, the place is very popular among fans of hiking in scenic places, as well as among white water rafting fans. Those who want to hike through the really deserted and hidden military facilities can travel to Montenegro and visit the suburb of Herceg Novi. 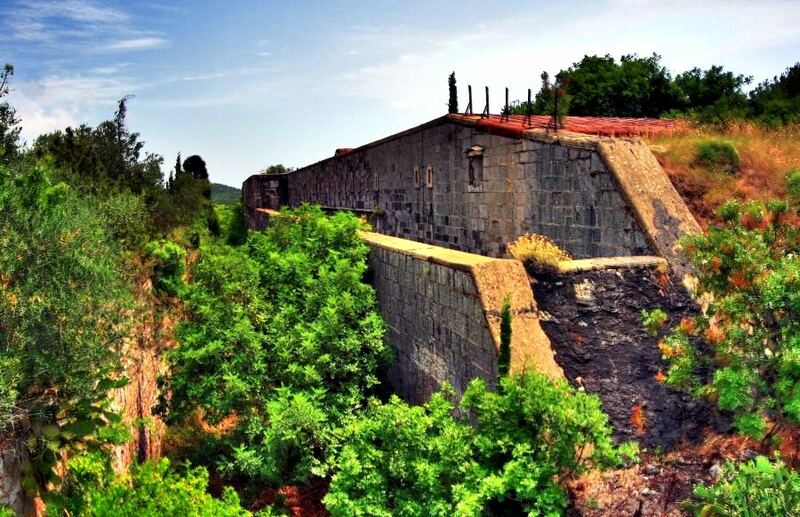 In the western part of the Lustica peninsula there are ancient Forts Roses, which until recently remained outside the attention of tourists. Drowning in thickets of wild trees and plants, the ruins of old military buildings look simply amazing. 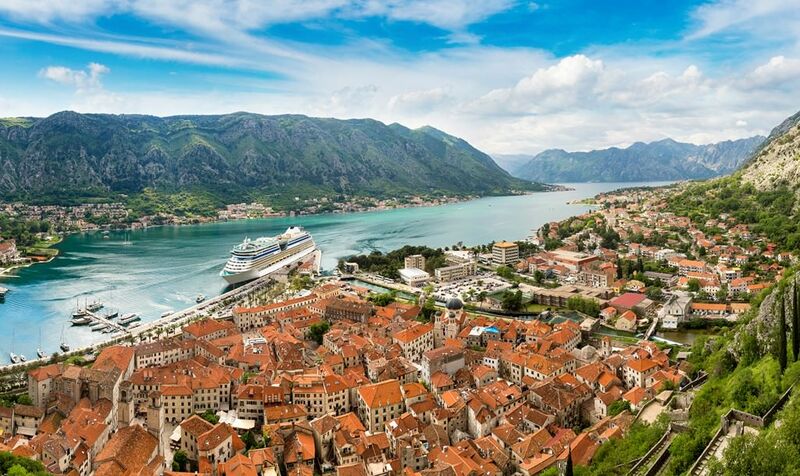 Lovers of history in Montenegro will hardly find a better place to relax.